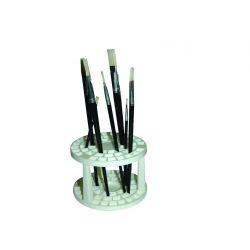 The Frisk plastic brush holder features a variety of slots which enables you to hold your brushes upright. 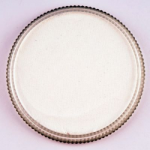 100 mm high x 144 mm diameter. 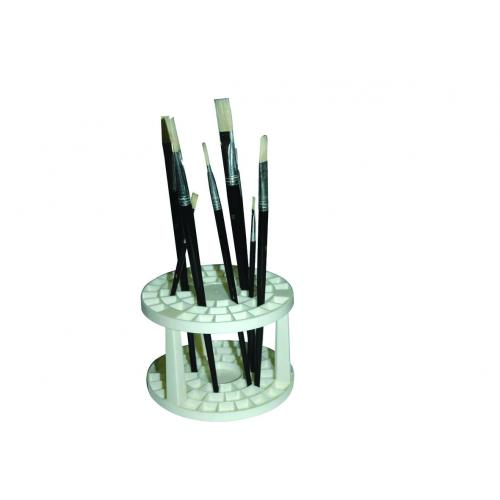 Appears a bit flimsy when unpacked but when it is put together it seems very sturdy. Helpful that it can be disassembled for packing away after your event.